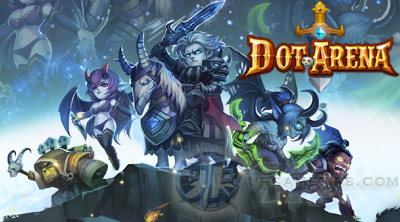 Here's a game guide on how to create or build up the best Arena teams that will fit the mobile gaming style of every player in the thrilling action RPG mobile game - Dot Arena. Info sources: Original Chinese and International Dot Arena game: arena top ranks (most used), forums, interviews/video reviews from experienced VIP players, and more. *For mobile devices, kindly rotate to landscape mode for full view. - Tier 1 Arena Heroes = The Hot Picks! Popular Heroes in the Arena that also recorded 20% or more overall usage, but ratings are also affected by usefulness, competitiveness, top recommendations and more. It's not necessary to group them all up, find a team that works together including Tier 2, especially for Epic Arena. - Tier 2 Arena Heroes = Heroes that are decent in the arena with around 7% overall usage. Still viable but requires specific hero synergies. Situational and debatable heroes will be categorized here too. - Tier 3 Arena Heroes = Becomes a rarely used hero in the arena (around 1% overall usage), still ok though for certain hero combos, or if you don't have any better choice at the moment, especially early game. - "Black Texted" Ratings: No Tier yet or still under review, suggestions are welcome ^^. - Lvl 1+ (Before Purple) = Lvl 1+, until around Lvl 52 (White to Blue +2). - Lvl 50+ (After Purple) = Around Lvl 53 to 71 (P+0 to P+1). - Lvl 70+ (Purple +2) = Lvl 72 to 84 (P+2 to Before Orange). - Lvl 85+ (Still P+4 or Orange) = Around Lvl 85+ to Lvl 90, but with no Awakening Skill yet. 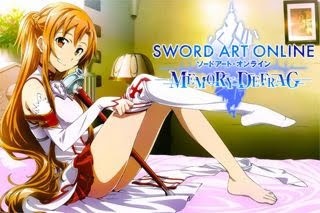 - Lvl 90+ (Orange+ with Awakening Skill!) = Lvl 90 heroes with Awakening Skill. Note that heroes without Awakening skill at the moment will be labeled as "None". - To newbies, please keep in mind that level grinding will take longer as you go, so it's better to focus on heroes on your current level, than prematurely using Lvl 90 Tier 1 heroes early game (makes your progress difficult). Farming hero soul stones for later is always a good idea though, go for it. - Note: New heroes will take time to upgrade and max, and players will probably start to test them out, once they include them to the redeemable shops. - Blazer: (Up to Lvl 1+ and Lvl 50+) since Blake isn't dominant here yet. - Brody: (Up to 70+ and 85+), increased popularity. - NEW! Added new hero Frostik under Back Line support for now. - NEW! Added Drakaina, Viktor and Phantom.